I agreed to write an honest review of Jay Miner’s book with some trepidation. I know him primarily as a poet so I first asked him if it has a plot. The author assured me that it did and so this fine coming-of-age tale slipped into my hands. This slim volume feels good to hold. The photographs (taken by Jay) complement the text, which is spare but truly stunning. Our guide moves us quite swiftly from a place of relative safety (home) to serious danger (the road) with mental illness as the catalyst and drugs the primary fuel. This particular road trip tale is a swift and scary descent into seediness and danger. 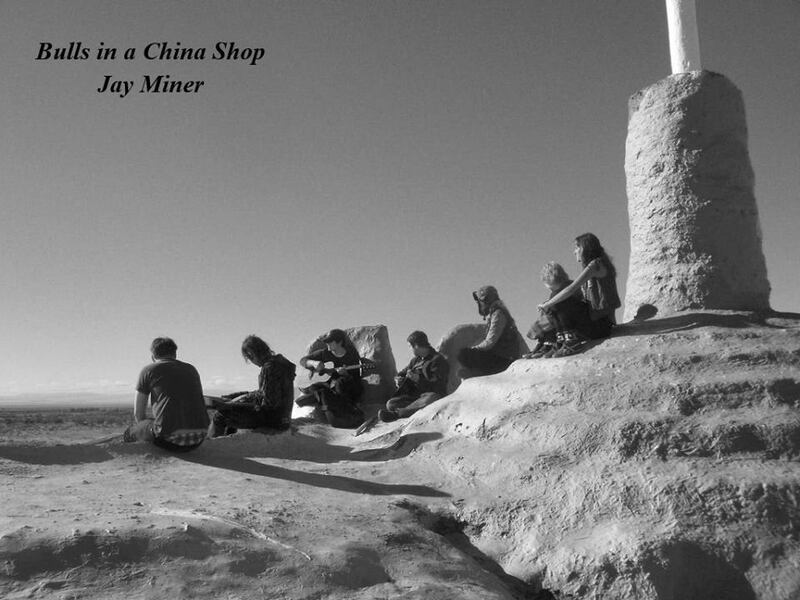 Happily, Jay Miner has chosen his words with care. He writes with both detachment and fervor: part “nothin’ but the facts, ma’am” and part gonzo revelation rumpus rioteer. It begins where many such stories end – at the rehab. I might have liked to linger there with him and the girl called Smith and Wesson but there will be no time wasted in the telling of this tale. Our hero hooks up with his new pal Crazy Horse, fakes his own death and we move on to the travel section of the piece. Las Vegas is where these two beeline like grifters to a con. There, at the Blue Angel Motel, they meet Chernobyl Charlie, the Locust, Full Moon Baboon and (my favorite) Velveeta Elvis. These guys keep black widow spiders as pets in their room. The webbed corners full of free range spiders is a brain burn I’m not overly excited to have acquired, but acquire it I have. I don’t want to give away any plot twists so I’ll stop there. It doesn’t take a long time to go on this trip although I can practically guarantee you’ll ride along twice. I did. While Jay chronicles events in an often dispassionate voice, he is no bystander. This is the story of a naive young man who pays his way, for the most part quite willingly, with the broken pieces of his sanity. While it’s not the story of a true miracle, the ersatz Vegas-style version is just good enough to save his life. Although Bible verses are quoted throughout, the reader isn’t rewarded with true redemption at the conclusion of this debut volume and for that I’m grateful. It would not have rung true. I’m happy to report that Mr. Miner is wise enough to know he’s just started down the road. This is a book of beginnings, well told.